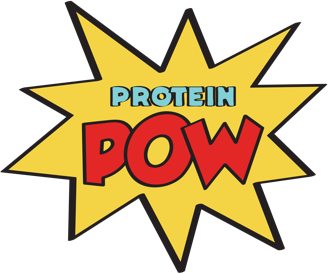 Note: You can find a print version of this recipe on the new Protein Pow(d)er Cookbook! It’s one of the few recipes that I’ve transferred to the book that still live at proteinpow.com (the vast majority of the recipes in the book have long been taken off the site). Here are all the links to whether the book is currently sold at right now. If you want to see what people are already making from the cookbook, check out the hashtag #proteinpow on instagram. I’m going through a strong Three Days Grace period at the gym. It’s all I listen to. Have you heard of them? They’re a Canadian rock band and they’re awesome, I think so at least. I find their music great for lifting! It’s not as RRRRAWWWWR as, say, the Nine Inch Nails but BOOOM! They’re fantastic. I am particularly stuck at this song (and I mean it literally because when I like a song, I can listen to it on repeat for hours – like a crazy person I guess). Anyways, I’m talking about Three Days Grace because I was listening to their One X album as I made the bars, went to the gym, worked out, came home, photographed them, ate them, uploaded the pics to my computer, and wrote this entire post. I’m actually STILL listening to One X. So…. I figured I HAD to mention Three Days Grace because they’ve been with me throughout this recipe. About these bars though, oy!!!! I warn you: if you like Tiramisu and you’re into protein, YOU WILL FLIP…. OOT! 1. First, make the ‘cakey’ part of the bars by blending the first eight ingredients, i.e. the egg whites, coffee-flavored whey, cocoa, oats, instant coffee, coconut flour, yogurt, and Tia Maria. Bake the batter in either a bar pan like mine (which I got here) or in a flat brownie pan – ideally silicone so that nothing sticks. 2. Bake at 170 C (338 F) for about 20 minutes or until, when poked with a knife, your knife comes out clean. Pay attention not to overbake here because if you do they’ll turn out pretty dry and, well, we don’t want that. 3. Let the cake (or cakes) cool before you cut them into bar shapes and then horizontally slice them in half so you can stuff each bar with your mascapone filling. For the filing, all you do is mix the mascarpone + whey in a bowl and sandwich that between the cake bars. 1. If you don’t have or want to get any latte-flavored whey, that’s fine. You can use chocolate whey protein powder instead. 2. Feel free to sub the oats for buckwheat if you want to make the bars 100% gluten free. 3. The Tia Maria is optional but awesome! Because it adds a subtle booziness to the bars. I used this stuff but you can just ditch it if you don’t want it or sub it with some plain Kahlua-flavored liqueur like this. 4. For the filling, you can use any flavor whey you like. Vanilla works really well but you can use cinnamon or a plain whey protein powder with just some stevia added in to sweeten it. 5. Don’t forget to sign up to my newly-relaunched Youtube Channel! It’s here and all you need to do is press the SUBSCRIBE button to be automatically notified whenever a new video is uploaded.